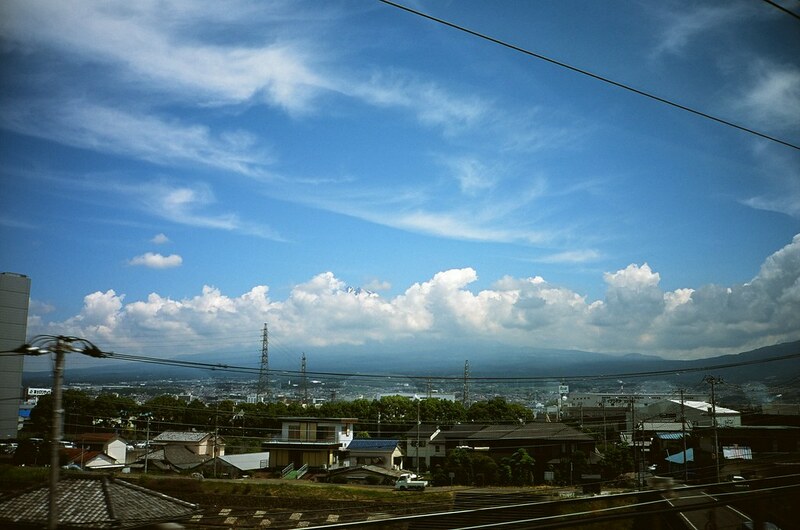 Of course, Mount Fuji was at the top of our to-do list while in Japan. Driving in Japan is manageable in a physical sense, but perhaps not as feasible in a mental and emotional sense. Just getting out of Tokyo was an adventure in and of itself. Although, once we got moving, it wasn’t so bad. The interesting thing about Japan, is that since it is an island, most of the tourists in many of the sightseeing areas are actually Japanese citizens on day trips to a different part of the country of which they are from. 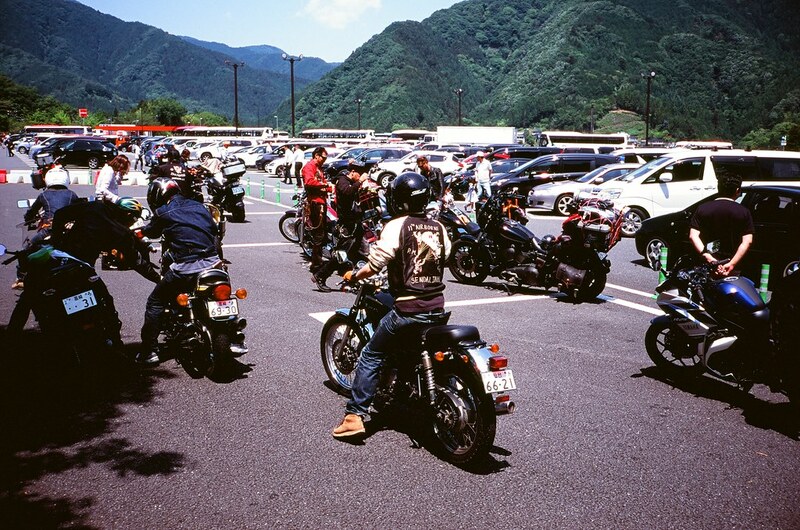 There was only one rest stop on the way to Mount Fuji from Tokyo, and it was here that we saw couples, families, and motorcyclists getting away from their busy weekday lives on a Sunday morning. 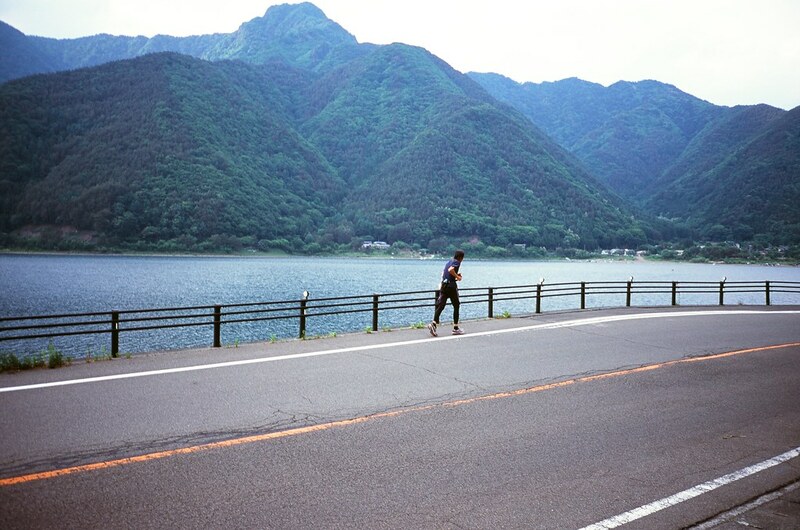 After driving about eighty miles, spending about $40 or $50 on tolls, getting stuck at a toll booth, and a single pit stop, we arrived in the vicinity of Mount Fuji. The air was fresh, the trees were green and spread as far as the eye, condensed over rolling hills and smaller peaks in the distance. Mount Fuji, of course, is stunningly beautiful and is probably the number one nature-related thing to see while in Japan. And rightfully so. The ride to Mount Fuji wasn’t terrible, but was definitely much improved after crawling through Tokyo traffic and getting stuck at a toll plaza. Driving towards the mountain is just as scenic as arriving at the destination. The base of the mountain is surrounded by campgrounds, viewpoints, and traditional dwellings. 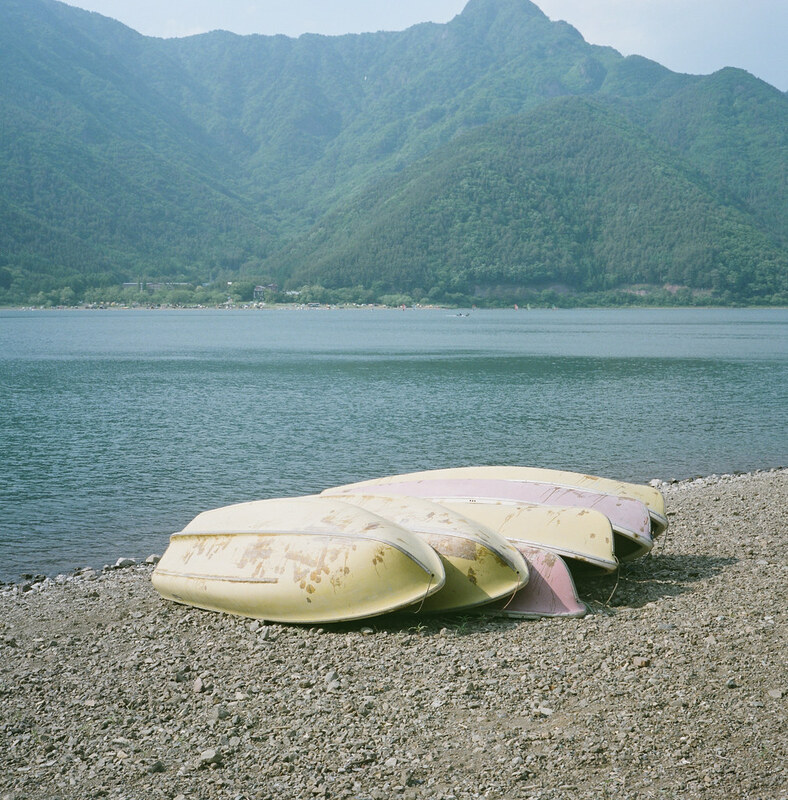 We stopped at a small cafe on the opposite side of Mount Fuji and took in the sights of the sun lowering behind the low-hanging clouds, windsurfers, canoes, and fisherman. 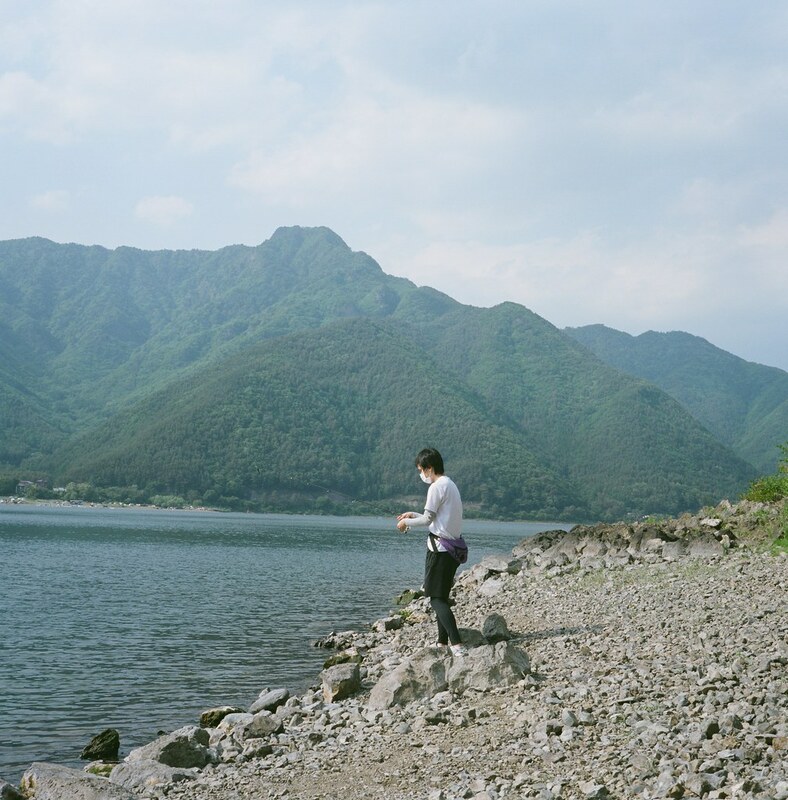 Every person individually partaking in their own activity, but collectively embracing the beauty of the countryside. 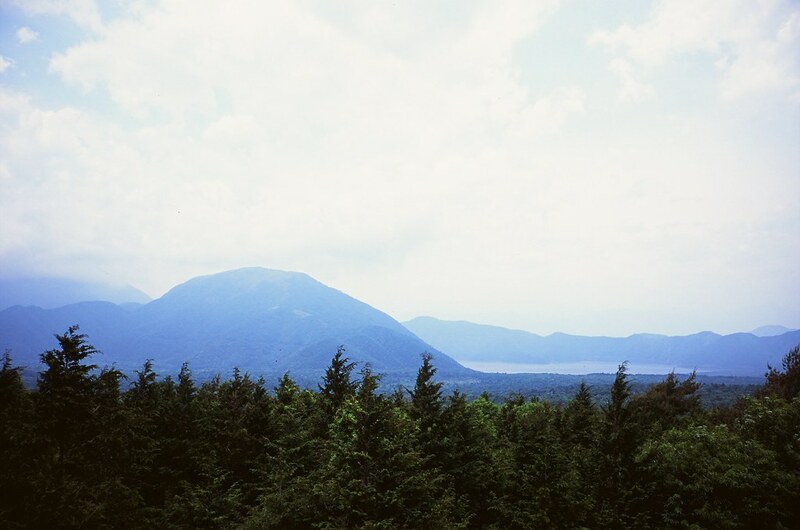 Aside from the mountain itself, the reason we journeyed to the area was to walk through Aokigahara, or the suicide forest. 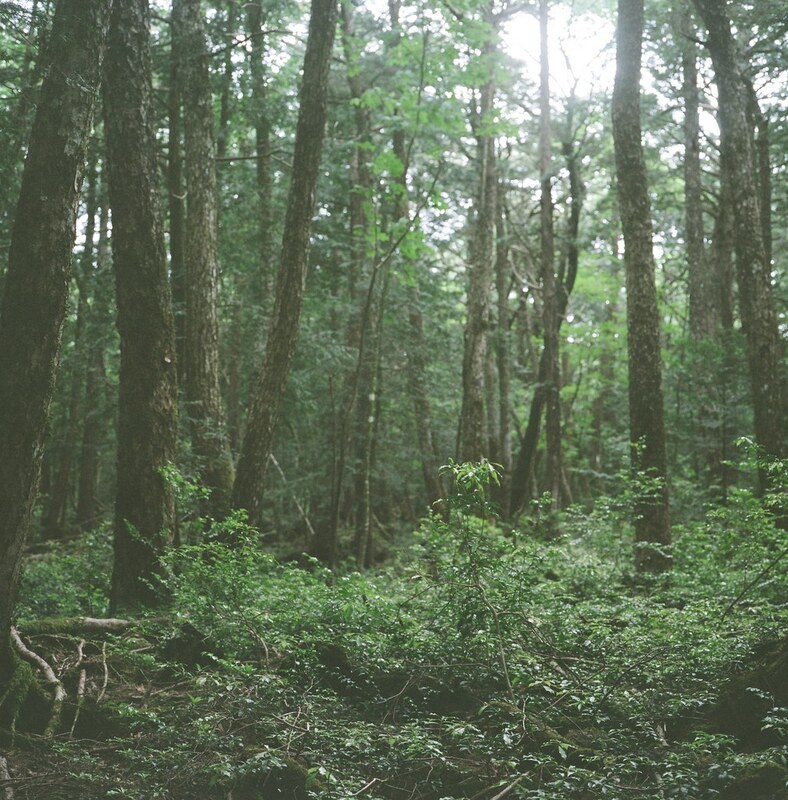 Aokigahara is a vast forest with dense vegetation and a ground layer consisting mostly of hardened lava from past eruptions that consumes most sound leaving it very quiet, tranquil, and even a bit eerie. However, the forest’s solemn mood does is not derived solely from its sound-deadening surface, but from the fact that it is the second most popular place for suicide in the world. Without getting too much into details which can be readily found elsewhere online (here and here. 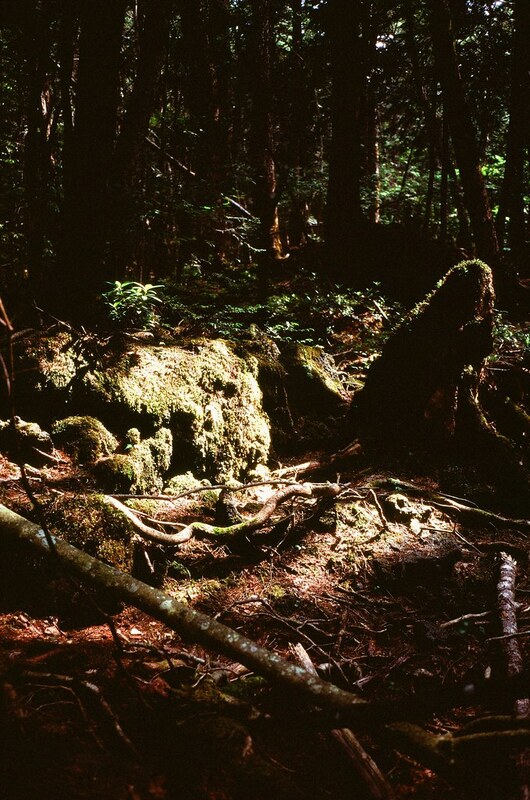 Oh, and here’s a Vice Documentary here), there are many interesting traits to Aokigahara. The opening of the forest is set up more like a tourist attraction than a destination for suicide, including a gift shop that serves corn ice cream (which was delicious as it was life-changing). The forest is utterly beautiful and truly is an attraction on its own without the mystique and theme of suicide. 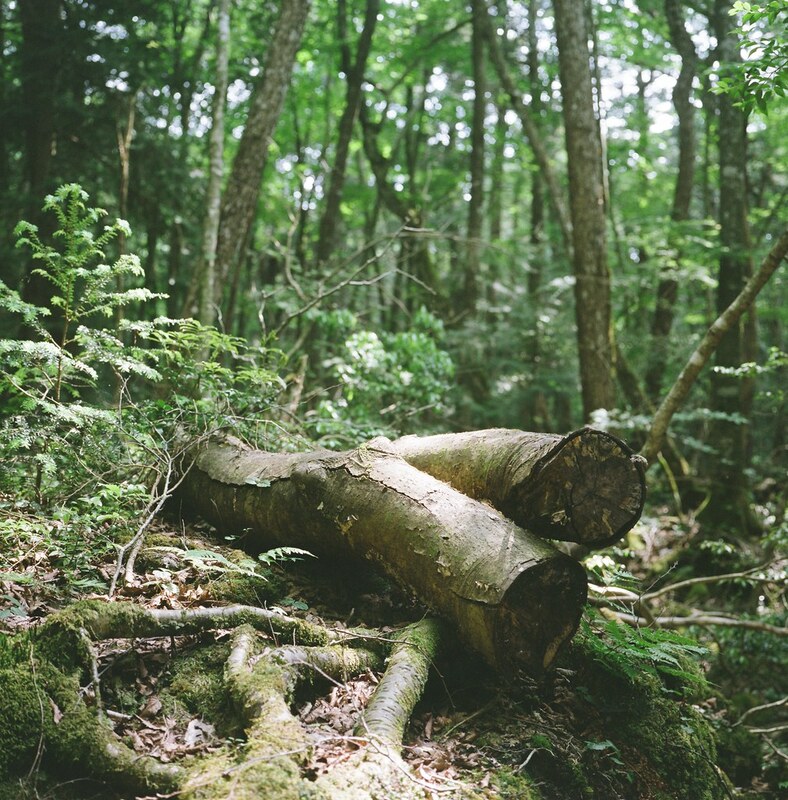 Of course, the forest is not marketed to the public as “The Suicide Forest.” That large, lingering, and pretty well-known detail is seemingly swept under the rug. Before I went, of course I did a little research about the forest. I had read that there were signs throughout the forest. These signs were said to have been hung by a man who previously set out to commit suicide and serve as a reminder to those who go with the intention to end their lives that their families are home waiting for them, depending on them, and of course love them. Another thing we were on the look out for were any ropes, strings, or long pieces of ribbon; as these are frequently used by those who are still uncertain about their choice to take their life and use this as a tool to get back to the main trail if they so choose to live and leave the forest and return to their families and lives. 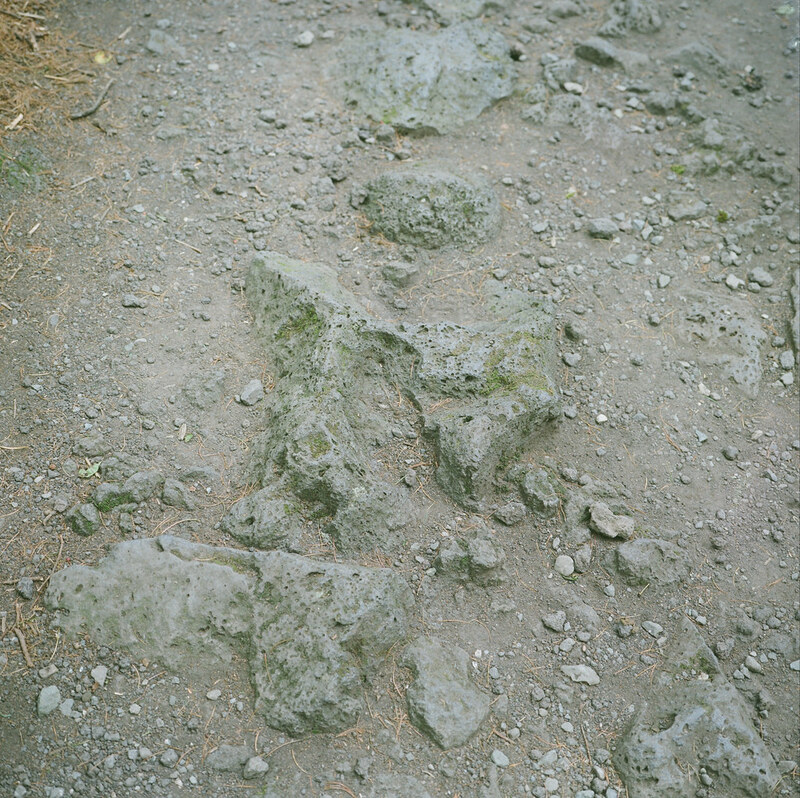 We did see some of these things (no bones or skulls, though) throughout our short trek through the forest. Needless to say, you can’t help but feel a bit despondent. 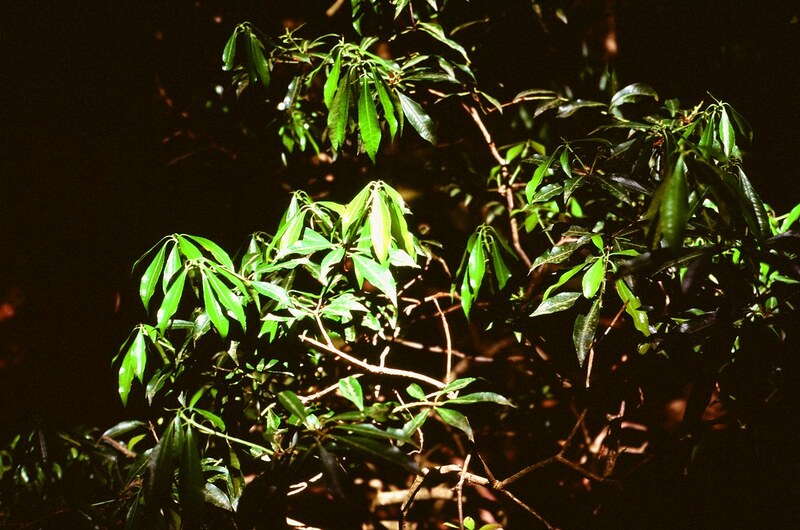 The forest is vividly green, the trees and foliage only allow for the sound of a light breeze and narrow rays of sunlight to cut through the cracks between the leaves (it was so dark at points, that my cameras couldn’t get enough light to take an automatically-metered exposure). We didn’t spend too much time walking through the forest, maybe an hour or two (we spent an hour or two just driving around looking for it). We should have spent the entire day hiking the forest, to be honest, but we weren’t exactly prepared for an all-day hiking excursion. So if you plan on visiting, I definitely recommend blocking a whole day for a proper journey through the sea of trees. 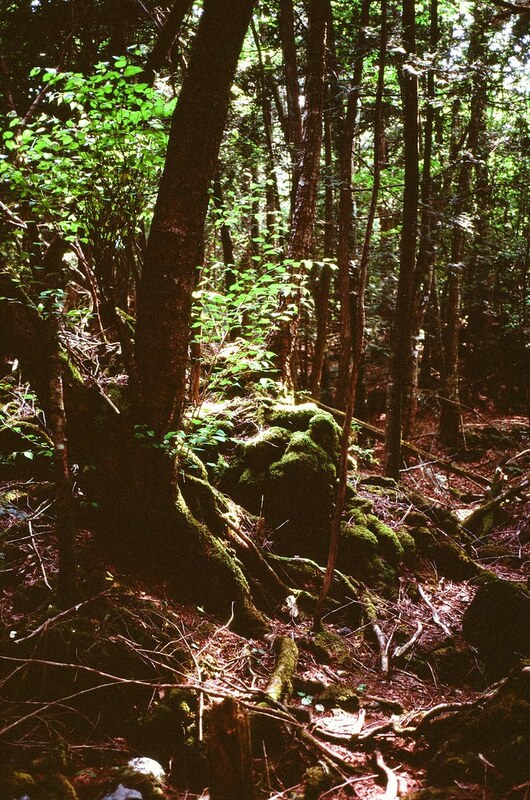 If anything, Aokigahara is a place of peace for both those who are dead as well as those that are living. 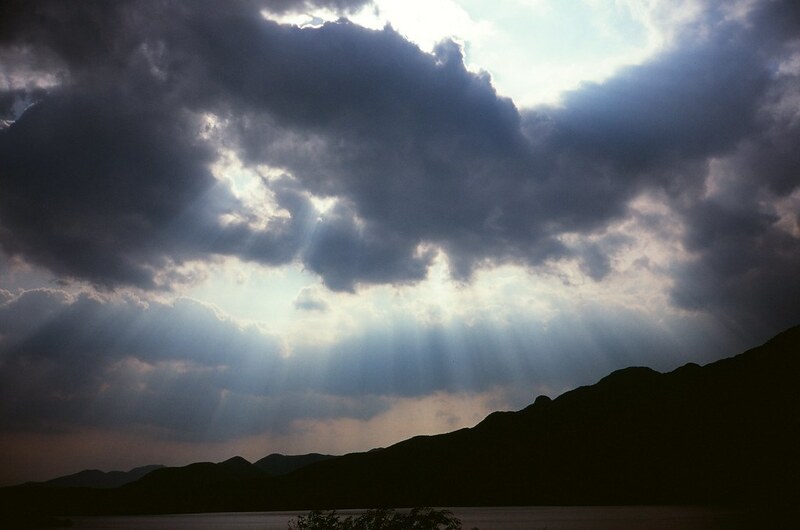 It’s a place for quiet, serenity, and reflection where time and sound seems to stand still.